JEFFERSON CITY, MO, DEC. 5, 2018 – Elephant Rocks State Park hosts Mother Nature’s Christmas lights viewing 5 p.m. Fri., Dec. 14, to sunrise, Dec. 15. To mark this year’s most spectacular meteor shower, Geminids Meteor shower, Elephant Rocks State Park will be open to the public for a rare after-dark event. Park staff will be available to direct you to the best and safest areas to view the shower. If you like star gazing, light shows and are able to brave the cold, come out and create a lifetime memory at Elephant Rocks State Park. It is December, so dress for very cold winter conditions. It is often colder on the rocks than the average local temperature, so you can become chilled sitting for long periods in the park even on a mild night. You are welcome to bring portable chairs and blankets to keep warm. Please remember to bring in only what you will be able to carry out when you leave. Trash receptacles are provided at the park’s parking lot. Please be respectful of other visitors’ experience and avoid excessive use of artificial lights and excessive noise during the event. This shower can be viewed with the naked eye, and telescopes or binoculars are welcome but not needed. No tents, propane heaters, lanterns or campfires will be allowed. 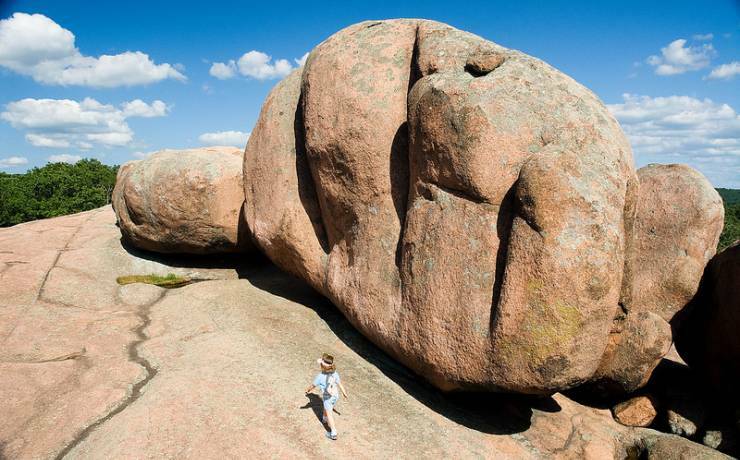 Elephant Rocks State Park is located at 7406 Highway 21, Belleview. For more information about the event, call the site at 573-546-3454. For more information on state parks and historic sites, visit mostateparks.com. Missouri State Parks is a division of the Missouri Department of Natural Resources.